There wasn't much to do yet; Artist's Alley and Dealer's Hall were to remain closed until 2 PM, so I just traveled around. 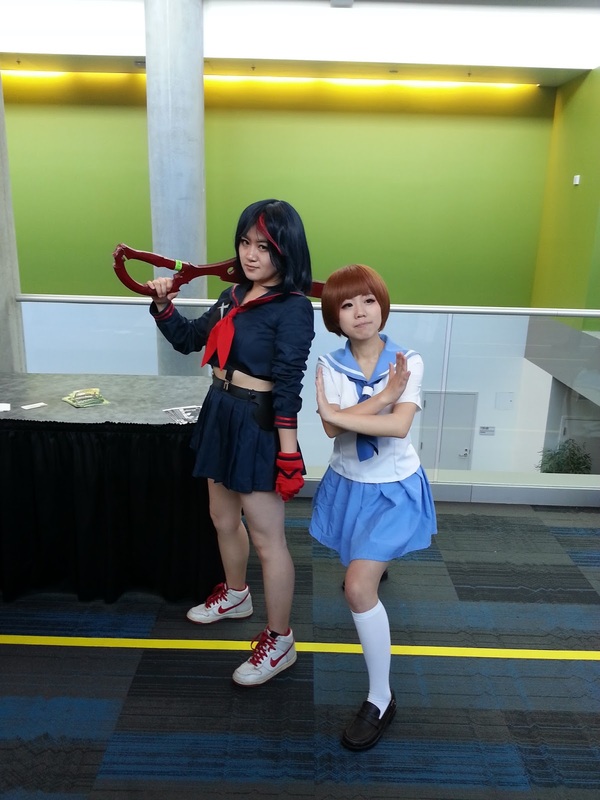 One of the first things I noticed was the influx of Kill la Kill cosplay; this was the first Fanime since the show's run and there was talk of Kill la Kill getting licensed and having relevant events at Anime Expo, on top of the series being wildly popular. 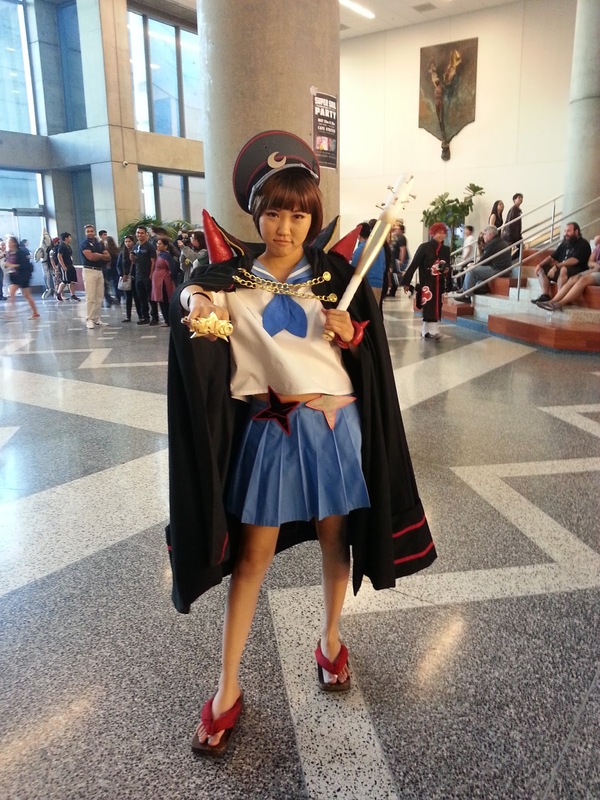 Despite Kill la Kill being the plurality fandom this year, it didn't seem like any single fandom had overwhelming representation this year. 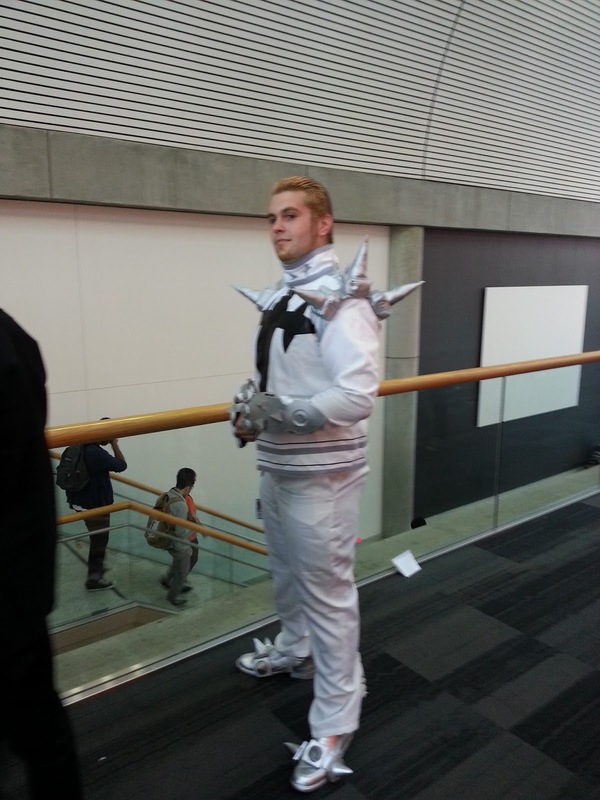 Gone were the days of Naruto, Axis Powers Hetalia, and Homestuck leaving their marks on conventions; anything pretty much went this year. Dealer's Hall and Artist's Alley opened up at 2, to very large lines, so it took some time to get into either, but eventually the rush died down and that worry came off. 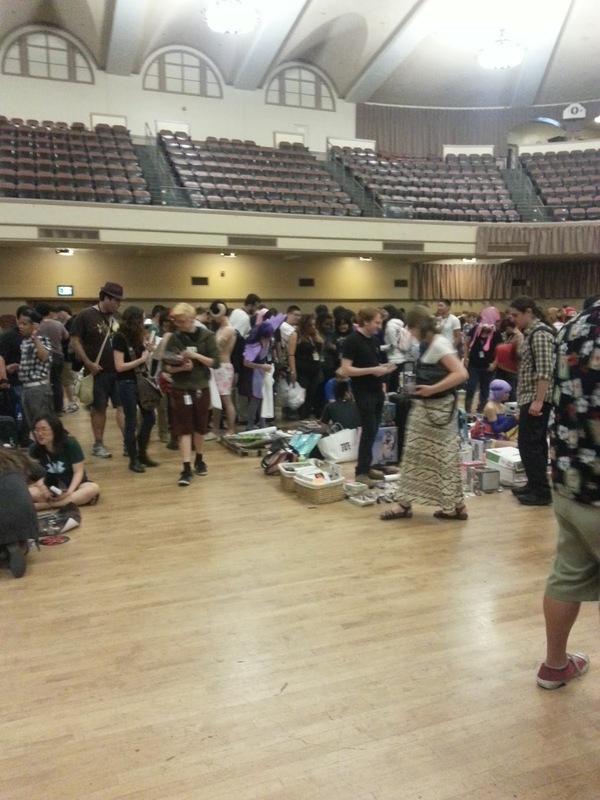 Dealer's Hall had been doubled in size this year. It now took up both Exhibit Hall 2, like it has in the past, and also Exhibit Hall 1, where Artist's Alley used to be. The result was a lot more free space and many more dealers, for a more diverse and comfortable shopping experience. Artist's Alley took up the second floor of the new building. While it was a bit cramped, it was much closer to the main concourse this time; last year it was in the large tent south of the main convention center, where it was relatively dark and people had to spend some time walking to get there. Though I would usually buy artwork from here, it wasn't the case this year, as I was a bit cautious with money. I was supposed to go out with a few friends for bar hoppping at San Pedro Square, but delays resulted in our outing not happening, so I instead braved the long lines of Hydration for a late lunch. Having barely eaten anything that day, I just wanted some sort of nutrition in my stomach. I decided to try lining up for the Swap Meet again, willing to brave the lines. I lined up around 7 PM, and passed the time playing Shin Megami Tensei IV among other 3DS games, and chatting with a long-distance friend of mine about my con experience so far. The wait was quite long; by the time I got in, it was around 9 PM or so. 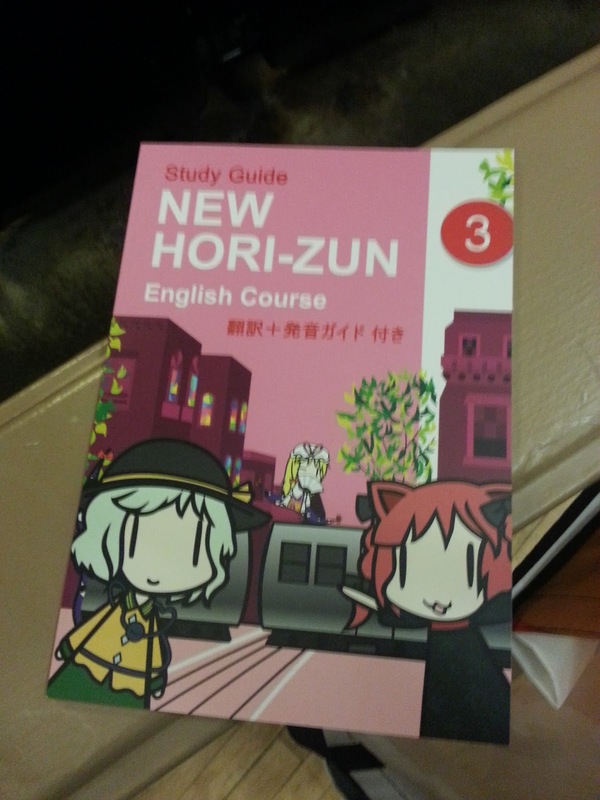 I browsed around, and was able to pick up a book on learning English with Touhou stories, but that was it. While I would prefer a Swap Meet "linecon" over a registration one, this was the first time it happened, and I'm not too pleased about this. Some attribute this to the fast registraton lines allowing more people to get into the swap meet; personally, I felt that the smaller venue also contributed to the long wait to get in. At any rate, I heard several friends deciding to skip out on the Swap Meet altogether, which was not a good sign for this particular event. Hopefully this is addressed by next year. By the time I was done browsing, it was around 11 PM or so. Tired and without much to do, I decided to retreat back to my room for the night. After all, the next was going to be a long day, as well as the day after. I was kinda upset that plans for swap meet was originally going to be cancelled because of the amount of time that the registration was taking to long for approval.. If your are the seller this bypass the line all together but jn the end it kinda have a drawback as helpers are no were to be found. I'm sorry if you haven't seen much left but there were some to tohou items for sale. Just upsetting that most of the good items are sold within the first hour range. Th e new ruling system changed so if you expect a huge space of friends or family sharing.. think again. Policy states that now accounts cannot be merged even if your friends or family..so it has to be seperate.